BEIJING, Dec. 19 (Xinhua) -- Charlie Barker earns more than 250,000 U.S. dollars a year and holds stocks worth 300,000 U.S. dollars in a Chinese company, a big sum even for his peers back home in the United States. It is Barker's 10th year in the city of Suzhou, east China's Jiangsu Province. The 52-year-old former U.S. soldier works as a senior researcher supervising medicine safety assessments in Wuxi AppTec Co. Ltd, a private integrated R&D service company. Barker's former army fellows once doubted why he chose to work in China. China is full of hopes and opportunities and Chinese people are optimistic and kind, said Barker, adding that China was no threat to the West and the world. Barker has persuaded his son, who is studying computer engineering in Nevada, to work in China after graduation. Barker's life experiences coincided with key events of China's reform and opening-up. He joined the army in 1984 when former U.S. president Ronald Reagan visited China, retired from army in 1997 when the Asian financial crisis broke out and began his China endeavor in 2008 when the international financial crisis erupted. China's reform and opening-up that began in 1978 has not only changed China but also deeply affected the world and reshaped its relations with the world. China was to a large extent isolated with the world until the late 1970s and early 1980s when it changed the war-inevitable mentality and established peace and development as the two major themes of the present times. Barker still remembered the scenes when the Reagans visited the Great Wall in 1984. "Everything seemed to be that peaceful and beautiful," Barker said. Since the reform and opening-up, China has been integrating with the world and is walking to the center of global stage. China is already the world's second biggest economy and the world's largest trading nation. It is also the world's biggest source of international students and the world's largest group of outbound tourists. Facing mounting protectionism and a stagnant world economy, China has proposed a new type of international relations featuring win-win cooperation and following the principle of achieving shared growth through discussion and collaboration in engaging in global governance. A median of 70 percent of respondents across 25 countries say China plays a more important global role than it did a decade ago, according to a new Pew Research Center survey of 25 nations that was released in October. The second year after the 2008 global financial crisis broke out, Barker moved to Suzhou and realized the great contribution China had made. The country has helped stabilize the global economy during the 1997-1998 Asian financial crisis and the 2008 global financial crisis. He said that without China's contribution, the global economy would have struggled in the abyss for a longer time. China has driven global growth over the past 40 years. Its GDP has averaged an annual growth of around 9.5 percent. The country's foreign trade has also registered an annual growth of 14.5 percent in U.S. dollar terms. It has become a major trading partner with over 130 countries. So far, more than 140 countries and international organizations have signed agreements with China to jointly build the Belt and Road, an initiative aiming to promote shared prosperity of humanity by cooperation on trade and infrastructure. According to current UN standards, China has lifted over 700 million people out of poverty and contributed more than 70 percent to global poverty reduction. "China has played as a responsible contributor to world's peace and development," said Zhao Lei, professor with the Party School of the CPC Central Committee. Since 2018, the HoDo Group, one of China's largest apparel manufacturers has worked with Cambodia to build a special economic zone in Sihanoukville, a coastal city in Cambodia. Over 100 companies from countries including China, the United States and Japan have started overseas businesses in the zone. Upon completion, the special economic zone will be home to 300 enterprises and provide 100,000 job opportunities, which will greatly benefit Cambodia and promote the security and development of the country. The Sihanoukville Special Economic Zone was set up in response to China's new security concept that highlights common interests, cooperation and sustainable development. China believes that development and security should be attached equal importance so as to maintain long-term peace. China is the second largest investor in UN peacekeeping operations, and has sent the most peace-keeping forces among the permanent members of the UN Security Council. It has been actively involved in the world's peace-keeping campaigns including efforts in the most dangerous countries and regions. China has also announced that it would be part of the UN capability readiness system, a global peace-keeping mechanism that will provide quick responses to activities in breach of world and regional peace, with a permanent peacekeeping force of 8,000 troops. Lin Huiping, 37, could be categorized as one of China's "post reform and opening-up generation." A professor at Soochow University, she acts as an advisor to the university's mock UN activities. In the latest session she oversaw, the students of the university played the roles of country representatives at the UN General Assembly and debated peacekeeping missions in Africa. "In the simulation of the UN session, the students had a taste of democracy and multinationalism in international relations, and had a better understanding of what the 'community with a shared future for mankind' means," Liu said. Mock UN activities, now common in Chinese universities and even high schools, demonstrate the younger Chinese's growing wish of participating in global affairs against the backdrop of an ever opening China. This is in line with China's new role as a guardian of multinationalism. China has pledged support for "building a new type of international relations, an open global economy and a community with a shared future for mankind." 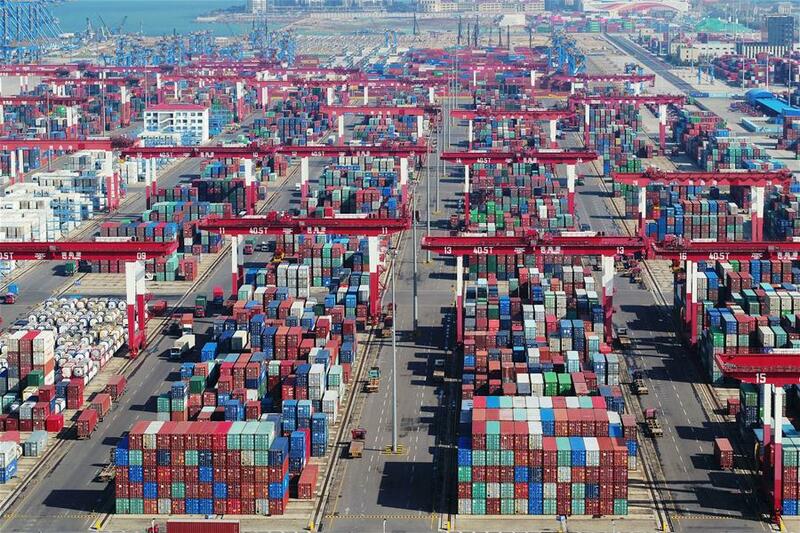 The first China International Import Expo, held in Shanghai last month, was among the latest testimonies to China's spontaneous opening up and its opposition against unilateralism and protectionism. China is now actively participating in the world's governance and reforms. It has joined over 100 inter-governmental organizations and signed more than 300 international treaties. Its positive and constructive roles are indispensable in today's global cooperation from anti-terrorism to the battle against global warming.